Camp Connell, CA. Kathy and her kid brother Eric and I made a snow sculpture at their family’s cabin. I have so few childhood pictures—it’s a treat to see the mini-me. ~ by jacquiephelan on May 2, 2010. I’ve got more pics from this trip – I’ll look for them next time I’m in Tarzana…ok? 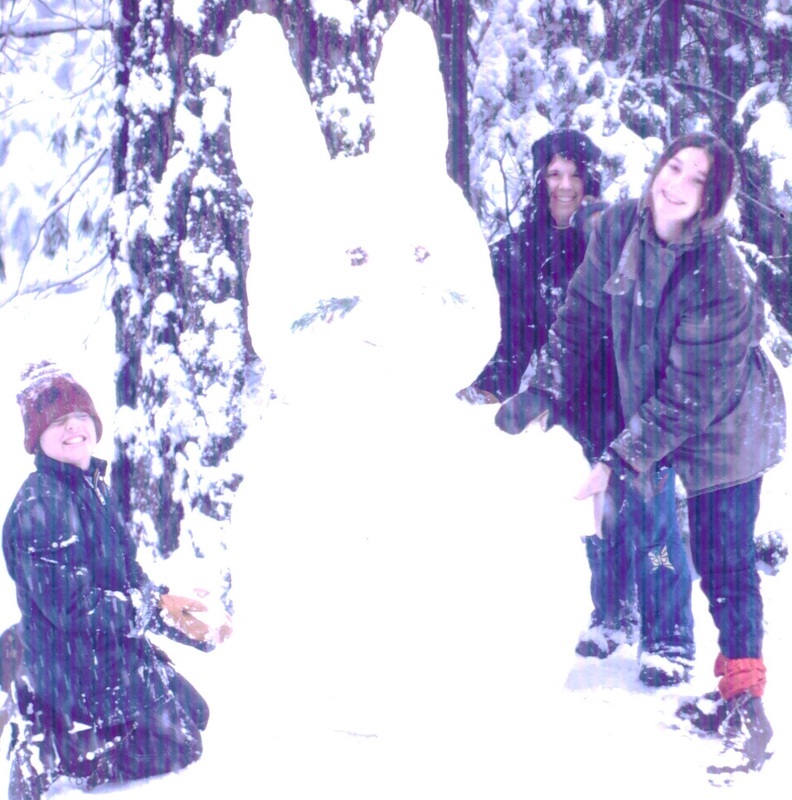 My sister and I created a similar snow-based beast, only ours was ostensibly a cat I was the unfortunate child in the red bobble cap and enormous nerd glasses. Great photo of you there! When I was a kid in Philadelphia, we dug a fort out of a 12-foot high snowbank that had piled up against the back of our fourplex. My dad turned the hose over it and froze it so we’d have it to play in for several days. My recently-prescribed glasses felt like they’d frozen to my face.